The school confirmed Sydney Paige Monfries, from Portland, Oregon, had died in a letter to students Sunday, just weeks before she was due to graduate. A student named Anne told the New York Post: 'I think they were posting on Instagram when it happened. The back of Monfries' (pictured) head was smashed in and her vitals flat-lined at the scene. 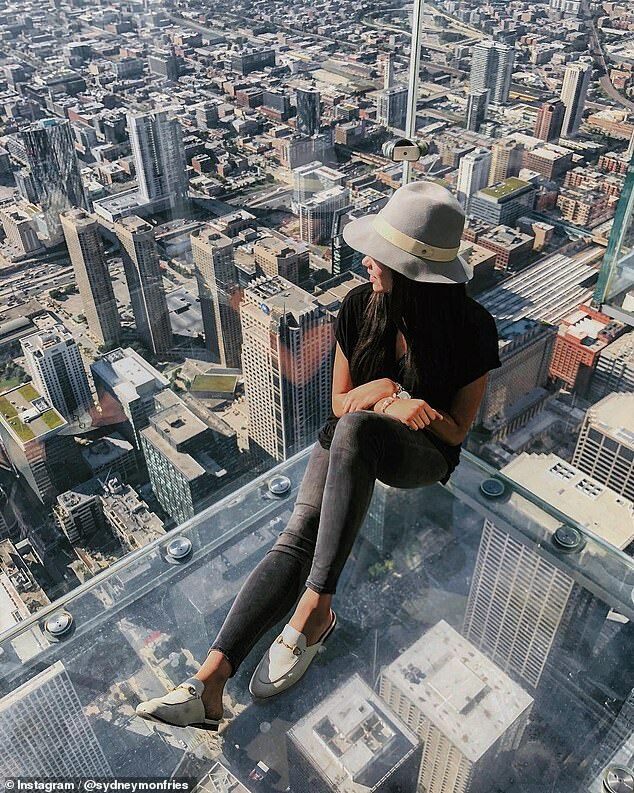 She is seen posing on the edge of a building in Chicago for an Instagram snap. 22 years old, dead because of an addiction to social media. "Hold my beer and watch this!" Amazing. No life is worth a few fleeting seconds of fame on Instagram.